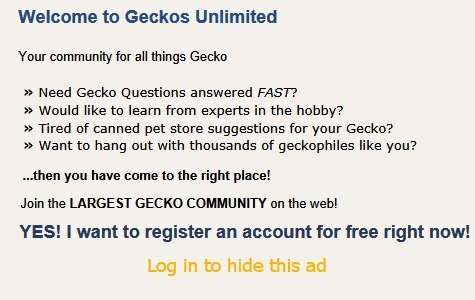 Sticky: !Helping your sick gecko: please read this first! New day geckos - some help please! Two Giant Day Geckos Together? Giant roach in giant's enclosure. Need a better heat bulb for Gold Dust Day Gecko! Updated Gold Dust Day Gecko Terrarium! Reptitherm UTH mounted on side of enclosure bad idea for gold dust day gecko??? Gold Dust Day Gecko Housed With Green Anole? Is it possible to tame a gold dust day gecko?